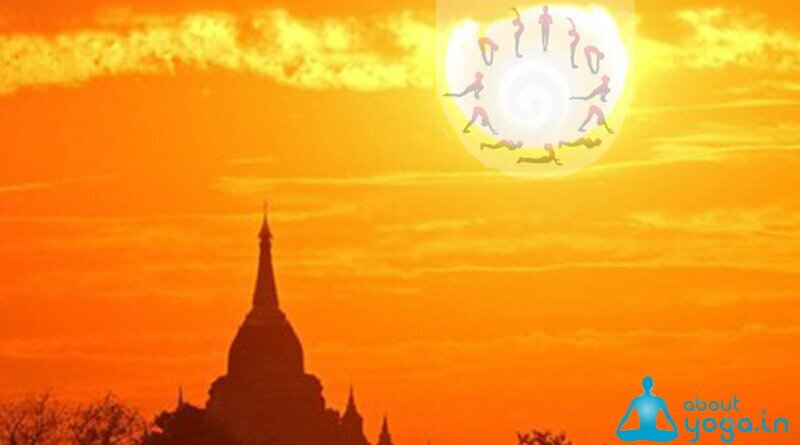 Garbhasana (Sanskrit: गर्भासन; IAST: Garbhāsana), Embryo Pose, Foetus Pose or Fetus Pose is an asana. 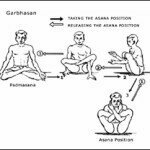 The name comes from the Sanskrit words garbha meaning “embryo” or “fetus” and asana (आसन) meaning “posture” or “seat”. 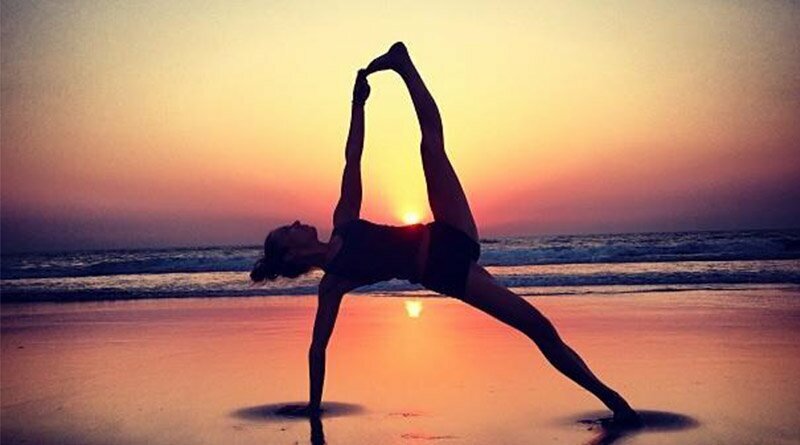 During the performance of this asana, the body takes on the shape of a fetus. 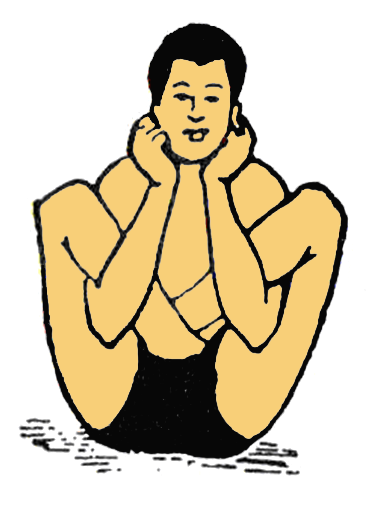 Sit in padmasana. Release the Dhyanmudra and insert the left arm between the thigh and calf of the left leg. Gradually, push the arm through the legs up to the elbow. Similarly, insert the right arm between the thigh and calf of the right leg, pushing the arm through, up to the elbow. Raise the legs and fold the arms upwards and catch hold of the left earlobe with the right hand and the right earlobe with the left hand. You may have to stick your neck out so that the hands can reach the ears. 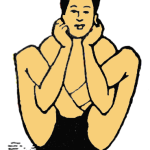 In this asana, the body is balanced on the coccyx. The arms have to be inserted between the legs such that you can bend the elbows fully so as to reach the hands to the ears. Release the hands and slowly lower the legs to the ground. Release the right hand from between the legs, followed by the left. Place both hands in Dhyanmudra and come back into padmasana. 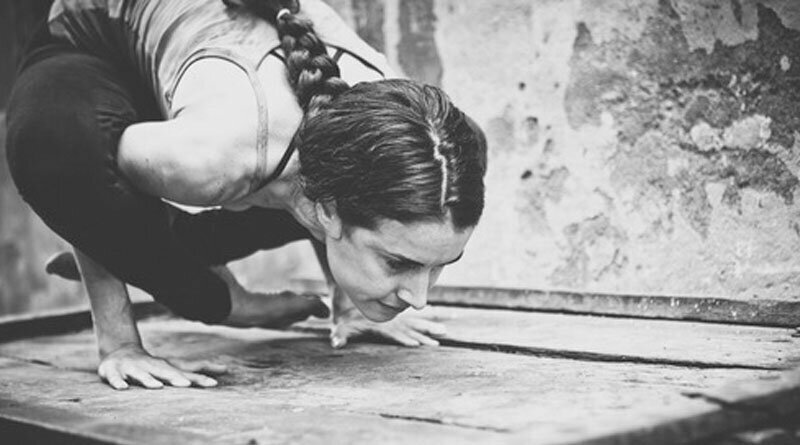 Move into the asana slowly so as not to lose balance. Find a point of focus so that you can maintain balance. Force the arms through the legs. Has a regulating effect on the adrenal glands and calms an excited mind. Massages and tones the abdominal organs. Stimulates the digestive fire and increases the appetite. 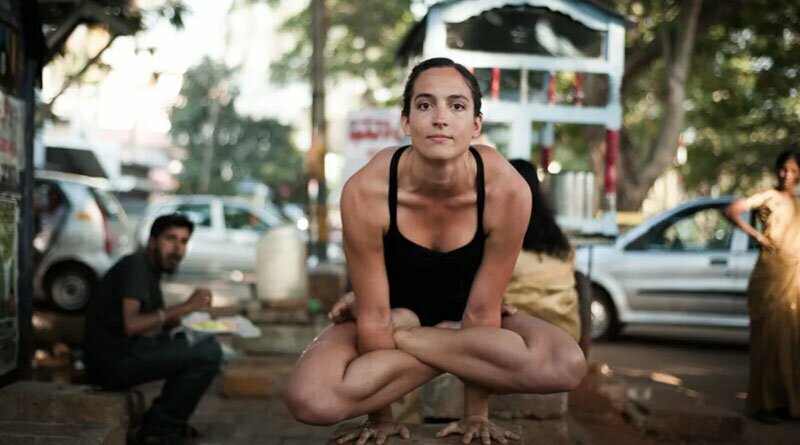 This asana should only be practiced by those who can perform padmasana with relative ease. This asana should be held steady for at least 30 seconds to obtain the benefits, gradually increasing to 2 minutes with practice. Those with hairy legs may find it difficult and painful to insert the arms between the legs. Those with a lot of fat or muscle on their legs will also find it difficult. Oil or water may be applied to the arms and legs to facilitate the insertion of the arms between the legs.